FACT: Not only did the United States bring us Roller Derby they also instituted Daylight Saving Time! Get along to Newcastle Roller Girls first home Bout of 2012 which is sponsored lock stock and barrel by Greens Gym Gosforth! With a newly renovated venue with fully functioning bar, it is going to be an action packed day of Derby and other treats! As if that wasn’t enough, then you can get yourselves along to our new after party venue – The Ware Rooms, in Carliol Square near the Laing Art Gallery. Should you be making a weekend of it, get in touch with us and we can hook you up with some great room deals from our new sponsors The Euro Hostel. 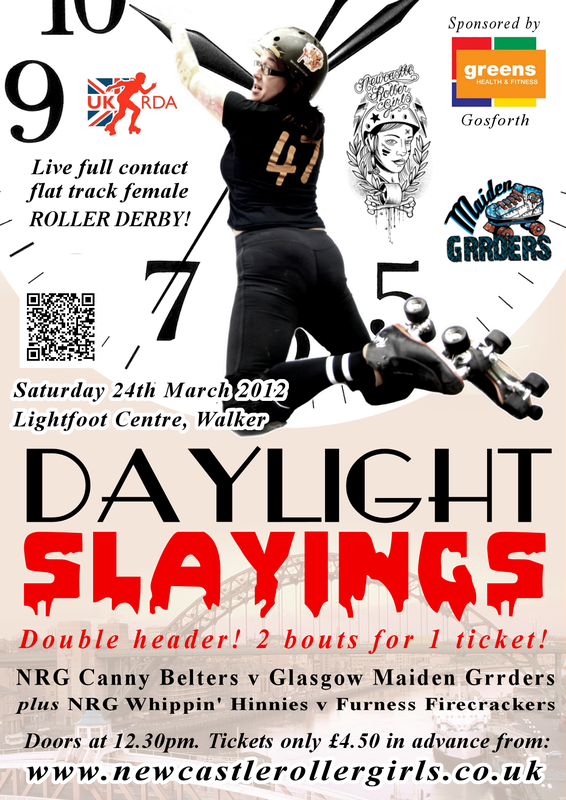 For the latest info on running times for the day, check out the Daylight Slayings Facebook event.